The first time you enter the Rock of Eternity, the wizard's lair in the new DCEU movie Shazam!, you might notice a shot or two of a little green caterpillar living under a bell jar on top of a plinth. The next time we see the lair, the worm is gone, the jar shattered. Something clearly happened, but the movie doesn't really explain what, until a sneaky mid-credits scene brings the little bug back. Shazam! villain Dr. Sivana (Mark Strong) is locked in the clink as punishment for his magic crimes, resigned to spend his entire sentence trying and failing to get back into the Rock of Eternity -- until he hears a voice from up above. It scoffs at Sivana relying on mere symbols scratched into a wall, hinting that there are more ways to gain access to the magic powers surging through the universe than his sad attempt. Sivana looks around for what he thinks is a grown man saying these things, until his eyes settle on a little green caterpillar sitting on his windowsill. The movie never reveals who this creature is, but comic fans will recognize him as Mister Mind, and he's a bad little wormy. 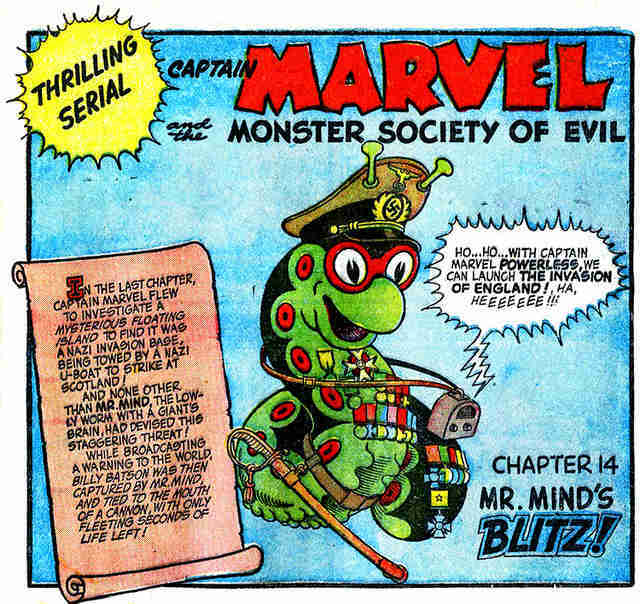 Mister Mind first appeared only as a mysterious voice back when Shazam was called Captain Marvel, in Fawcett Comics’ Captain Marvel Adventures #22 in March 1943, in which Shazam fights Hitler and Benito Mussolini. His true buggy form is revealed four issues later in Captain Marvel Adventures #26. Mister Mind, whose actual name is unpronounceable by humans, is a mind-enthralling Venusian worm who stowed away on the Magellan, the spacecraft NASA used to radar-map the surface of Venus (that detail was added way later, since the Magellan launched in 1989). He wears a tiny pair of glasses to see, spins webs and cocoons of silk extremely fast, and speaks using a "talk box" that hangs around his neck since his advanced worm race communicates telepathically. 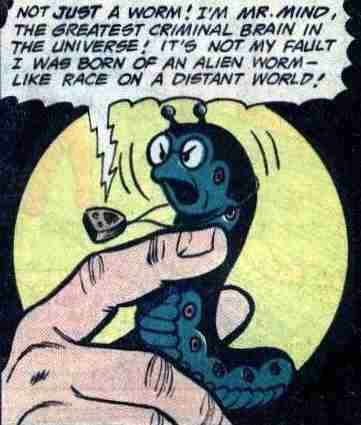 In the comics, Mister Mind and Dr. Sivana spend some time gallivanting around together and doing evil stuff, like trying to launch a worm invasion of Earth. Sivana is the person who gave him the name "Mister Mind," since no human mouth could attempt his actual name. But what the little dude is mainly known for is using his massive intellect to form the Monster Society of Evil, notable for members like Dr. Sivana, Ibac (basically the anti-Shazam), Black Adam, the Crocodile-Men, and, uh, Hitler and the Axis Powers, and also for being one of the first supervillain teams in comics to contain villains readers had already met before. Before this, usually when a team of baddies appeared to fight the hero, they were created just for that storyline. Other solo villains preferred to work alone until Mister Mind came along, convincing some of Shazam's greatest enemies to join forces and become nearly unstoppable. 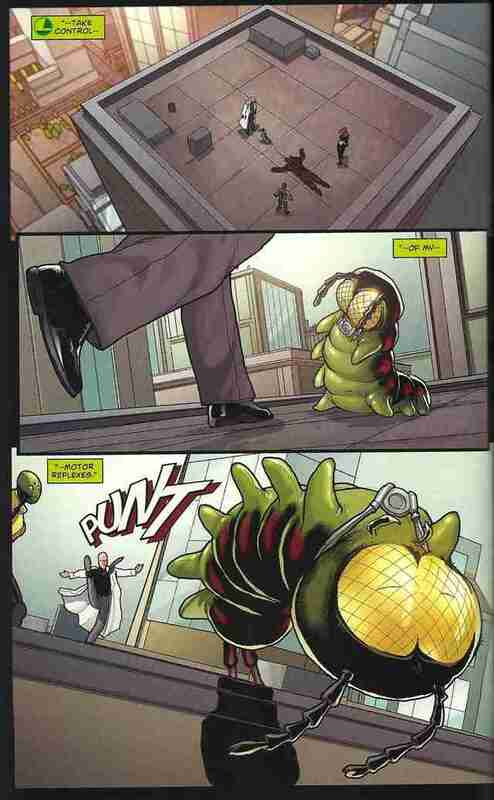 Mister Mind has gone through some changes, morphing through the years from a cartoonish little caterpillar into a larger, pointier, scarier creature. 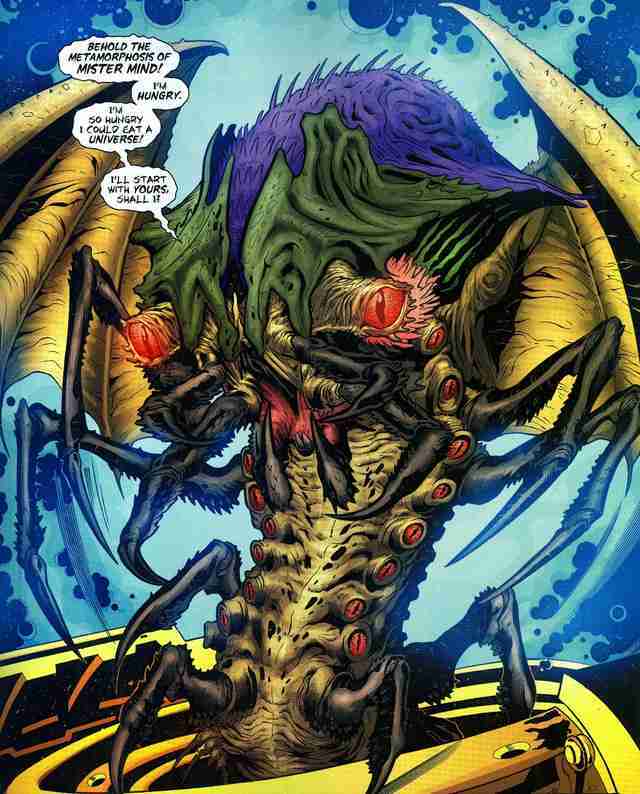 After Infinite Crisis, when the new DC Multiverse was created, Mister Mind emerges newly metamorphosed into a Hyperfly from a cocoon housed inside the body of one of our heroes, altering reality with every beat of his giant wings. But normally he's just a little worm, his diminutive size belying how nefarious that tiny bug mind really is. 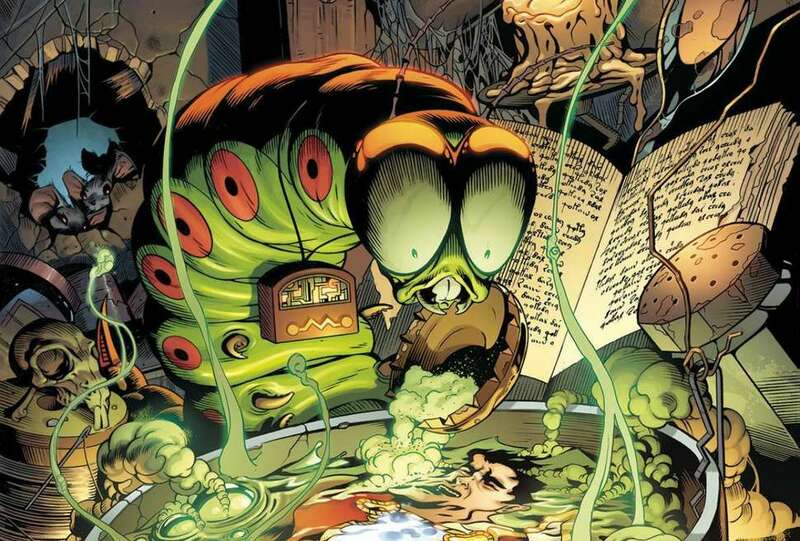 Mister Mind showing up in Shazam! at all is pretty exciting, but his appearance means that DC could be dipping a toe into Monster Society of Evil territory -- which means heroes like Booster Gold and Spectre, alongside some classic, bizarre villains. We already know that Dwayne Johnson is playing Shazam villain Black Adam in his own upcoming movie, so if Shazam! does well, we may be in for a new, much more evil and bug-filled era of the DC film universe.